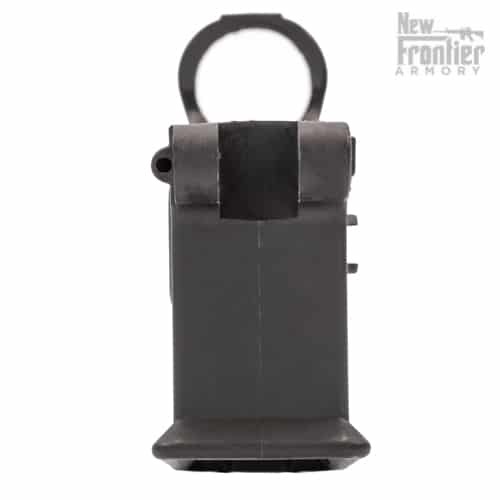 Don’t forget to check out our Polymer LPK to keep your build ULTRA Lightweight!! Find them by CLICKING HERE. 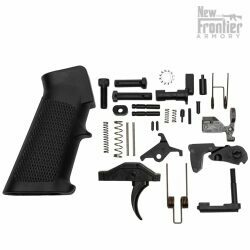 Q: Can I build my upper while attached to the lower receiver? A: NO! 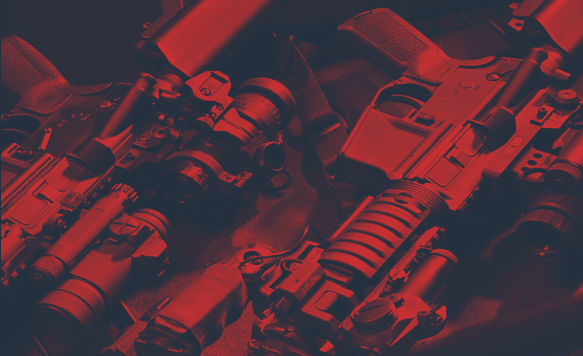 When assembling your upper receiver DO NOT torque the barrel nut or muzzle brake while the upper is attached to the LW-4 (or any other model) lower receiver. 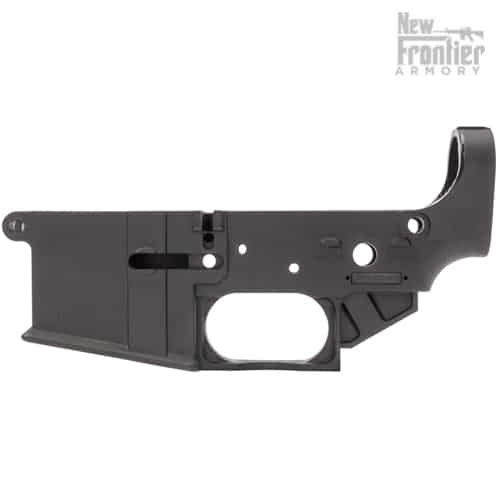 Assembling the upper improperly could cause damage to the lower receiver and will NOT be covered under the factory warranty. 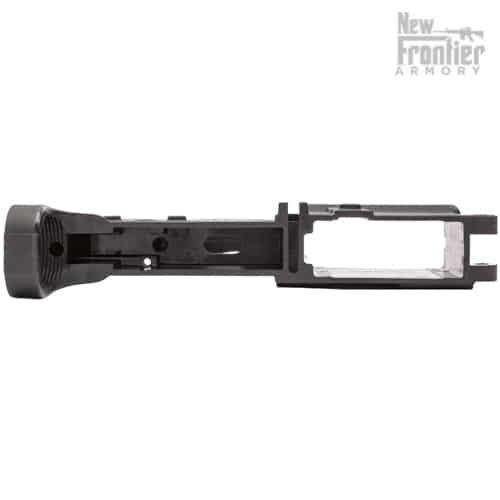 When assembling an upper you should use a reaction rod or a vise block specific for assembling upper receivers. 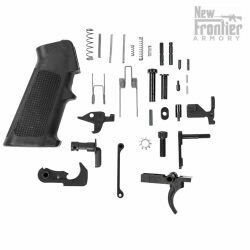 The New Frontier Armory LW-4 Stripped Carbon Fiber Lower Receiver is proudly MADE IN THE USA by hard-working American men and women. 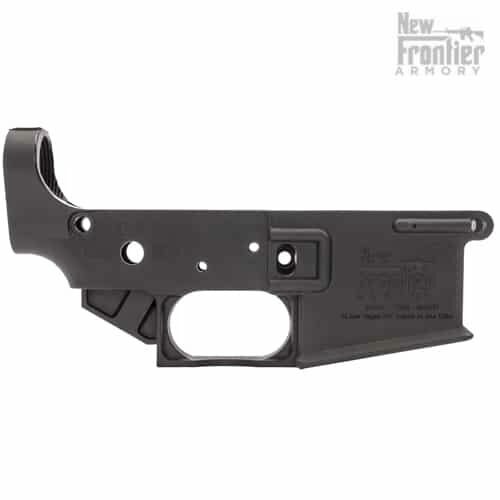 Polymer & carbon fiber lowers are NOT to be torqued -- Hand Tighten only and stake end plate into castle nut. 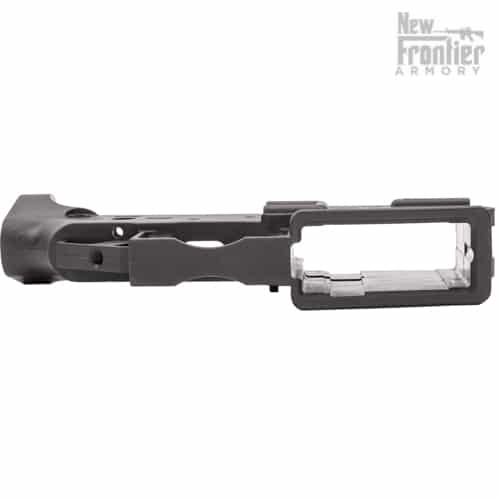 There is likely too much space in the rear of the FCG pocket for it to work; however, the LW-4 receiver is made to have a very tight fit to the upper receiver and likely would not need one. 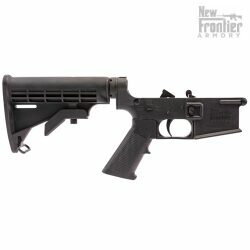 You can purchase direct from the website and select the FFL from the options provided. If your dealer is not listed and you've verified they accept transfers, you can select any FFL, but input their info on the Order Notes. They can send us a copy of their FFL and reference your order number for faster processing. The entire lower is molded with a carbon fiber infused polymer. 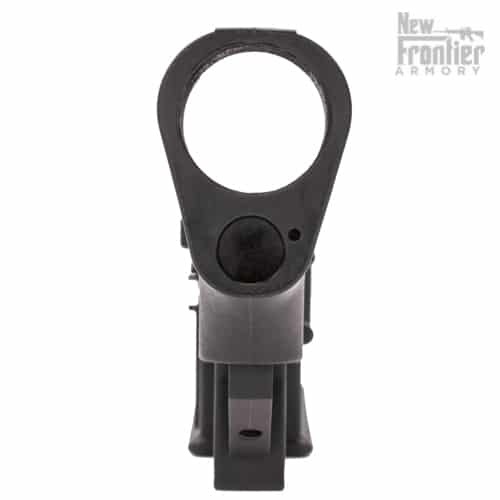 There is a small chamfer / flare that can be seen clearly in the product photos for your reference. No. 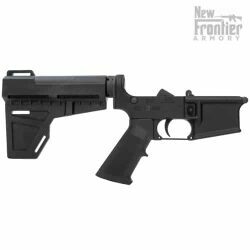 After selling over 150,000 polymer blend and carbon fiver lowers we've found that the insert does nothing to increase strength in that area and is a solution to problem that doesn't exist when using proper material and molding technique. The only receivers we've examined of our brand broken in that area were split due to over torquing the castle nut or improper installation of the buffer tube. No, sorry. 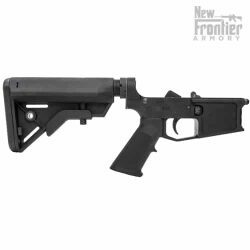 Since its just a stripped receiver it doesn't have an owners manual. 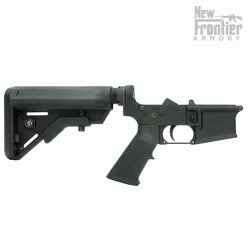 It assembles just as any other AR receiver would. The description is correct, it weighs 3.65oz. The other weight is the shipping weight when packaged.